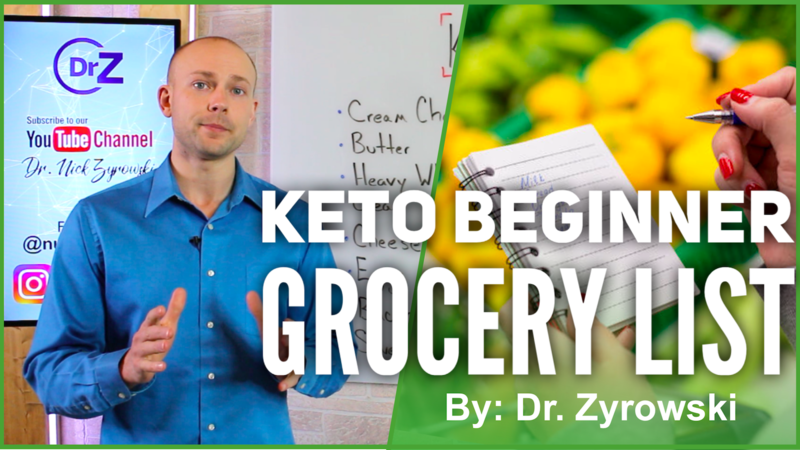 Keto Beginner Grocery List is a video that helps you identify the top foods you’ll want to have on hand when getting started with the ketogenic diet. A Keto beginner shopping list is one of the first steps to finding success with the ketogenic diet. When you first start the ketogenic diet, the first thing that comes to mind is: what can I eat? Any new diet always feels so restrictive at first until you settle in. The keto beginner grocery list I share with you in this video is by far the most important foods that you have to keep stocked in order to truly walk into the keto diet with ease. The keto beginner guide includes all the favorite keto foods. 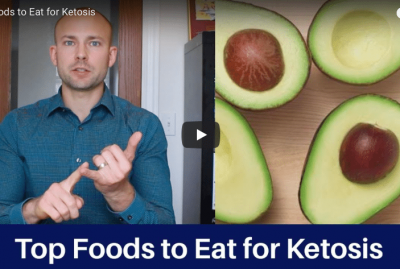 They are good high fat foods that offers you the full-fat deliciousness that is necessary on keto in order to keep your ketones up and feed your body high fat. The high fat in the diet allows you to not crave carbs and to also keep your insulin levels low so that you can avoid metabolic challenges that plague so many people. The keto beginner grocery list and meal plan teaches you the must haves, like eggs, macadamia nuts, avocados, coconut, butter, cream cheese, fatty meats and all the go-to foods while on the keto diet. These foods will be incredibly useful for keto beginner meal prep as well because when you first start the ketogenic diet you will realize quickly that you are constantly turning to so many of the same ingredients for recipes. Some of the top ingredients that were called for were eggs and bacon. I was certain that every 3rd keto recipe I came across had bacon! These keto beginner tips are truly a life saver for someone who wants to start keto but doesn’t know what foods to have in the pantry before embarking on this journey. The keto grocery list for beginners is the best way to kick-start your ketogenic diet with success. 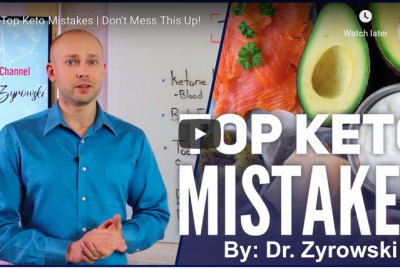 In this video we’ll discuss what you need on your shopping list if you are starting the ketogenic diet. Hi ladies and gentlemen, I’m Dr. Zyrowski. Welcome to the channel, if you’re new to the channel it’s a pleasure to have you here. Be sure to subscribe, hit that bell notification, join our notification community so I can help you excel your health and your life. In this video we’re talking about the keto beginner grocery list. We’ve all been there. If you haven’t started on the ketogenic diet yet then you will go there too. And if you’ve been on the ketogenic diet, you’ve all been in the first couple weeks of it going “oh my gosh what am I going to eat?”, “I’m hungry what do I eat?”, “I don’t want to eat these terrible foods that are in my house”, and things like that. So we have to make sure that we have some of these, you know, quick go-to foods. So, what I want to do is just discuss all the different foods that you all must have in your house if you’re starting the ketogenic diet. 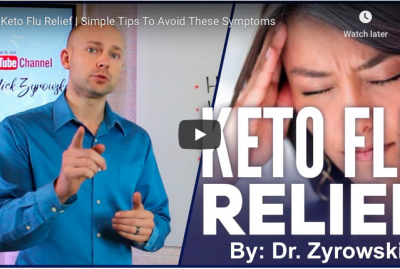 And at the end of this video I have a favor to ask, not only for myself but also for everyone else in the community, so we can all help each other out following the ketogenic diet very successfully.So let’s go ahead and talk about these foods now. First is cream cheese. Your cream cheese is a huge one that is on the ketogenic diet. If you’re going to make fat bombs, if you’re going to make desserts, if you’re going to make a lot of the different foods out there, they involve cream cheese. Make sure that you have cream cheese ready to go because a lot of the recipes you will find in a ketogenic diet involve cream cheese. Next is butter. You know having lots of butter is good because it is a big quality fat. It’s good for you especially in the ketogenic diet, you’re always trying to push those fats so good grass-fed butter is important. Heavy whipping cream is a very staple food while on the ketogenic diet as well. Cheese is another good one as well. Again you’re getting lots of good fats here and pretty much all the types of cheese. You know mozzarella cheese, Parmesan cheese, all the different ones because you’re going to find that a lot of different recipes are calling for cheese. Make sure you’re stocked up on cheese. And eggs is a huge one. My goodness I didn’t ever know. When I first started the ketogenic diet, I had no idea on how many eggs we would actually go through. You know one of the things I like to make is cloud bread. You can make cloud bread pizzas, you can make all different types of flavored breads with this cloud bread. You can put cheese on it. So anyway it’s really good but one of the things it does it absolutely consumes all the eggs in the household. So, you know, a lot of people also do hard boiling eggs. Eating eggs for breakfast. 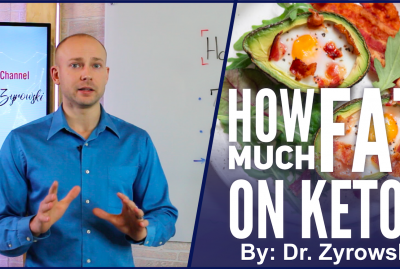 I find that a lot of people are consuming enormous amounts of eggs on the ketogenic diet. So anyway you’re going to find that many of the recipes call for many eggs. So make sure you have lots of eggs. Next is bacon. Once again, you know, I have a ketogenic cookbook that I use and its funny because I think every third recipe actually calls for bacon. So anyway make sure you have bacon in the house because many of the recipes are going to call for that. Next is sweeteners. Make sure that you have Monk fruit which is great one. 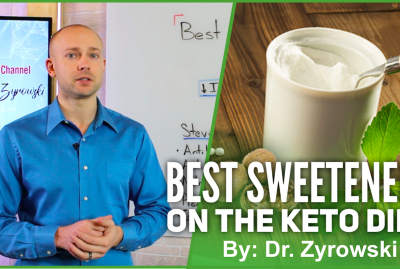 Stevia, Erythritol are a great ones and last is Xylitol, okay? The first 3; monk fruit, Stevia, and Erythritol are going to be the best, but Xylitol is great too. You can mix some of that in. As a matter of fact, I like to use a Erythritol and Xylitol blend. And I’ll try to put that in the description below the one I use. Next here is salmon, good fatty meat there. Salmon good fatty fish, I should say. Chicken, make sure you’re getting some good quality pasture raised chickens there. Grass fed beef you know its going to be high in fat, high in K2, want to make sure that you get that good grass-fed beef in. Coconut flour and almond flour are pretty much the two staple flours that you’ll use on the ketogenic diet. Make sure you have those in the house. Avocados are a huge one they’re a good go to food. I like to actually pack them in my lunch and just put a little bit of sea salt on them. They’re easy to throw on any meal if you’re just trying to get some more fat and some good quality fat they taste great. Like I said, I like them plain with just a little bit of sea salt on them and I’m perfectly happy with that. But, also on the ketogenic diet you can make avocado ice cream, you can make avocado pudding. There’s so many different avocado recipes out there because they’re great quality fat. So make sure you ordering up avocados. And then next here is spinach. Spinach is a really important food to have on the ketogenic diet as well. Cabbage is an easy go to. Lots of different recipes are calling for that. Cauliflower is a huge one. A lot of people are using cauliflower in so many ways. Cauliflower crust pizzas, cauliflower mashed up which is also good it’s almost like a mashed potato. You can use cauliflower fried rice which is good as well. So anyway, cauliflower is a huge staple in the ketogenic diet, make sure you have it. Next here is asparagus. Asparagus is great. If your wrap asparagus in bacon its even better. So make sure you have bacon and asparagus. Put a little Parmesan cheese on that, it’s great. Sea salt is a really important thing to make sure you have in your house when you are doing the ketogenic diet because you’re going to want to get those extra minerals in, especially in the beginning. So, when we look at sea salt it has eighty trace minerals in it. So, we want to make sure we’re getting the sodium, the potassium, magnesium, calcium so we want to make sure w’re using that sea salt. Sprinkling that sea salt right on those avocados is a great way to get a great fat and also get those minerals in. Next is No salt. I usually will put some sea salt and some No salt on my avocado. No salt is basically potassium, it is literally called No salt. You can get it in a container in the store. That’s a great one to have so you can keep those potassium levels up as well. Olive oil is great, great fat. Coconut oil is a good fat to have. And macadamia nuts are a great go-to if you just need a snack throughout the day sometime. So anyway, these are some of my top foods that I would say you just have to have in your house if you are starting the ketogenic diet. 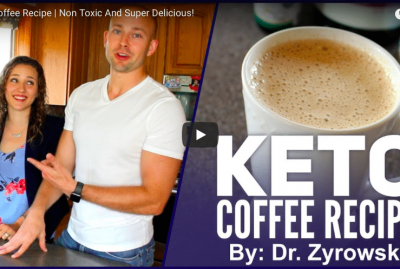 And what I’d like you to do to help me out and also to help the rest of the community out, is share with us some of the top foods you have in your house while following the ketogenic diet. So that no only can I find success with it but the whole community can find success and we can help each other out. So put that in the comments section. We greatly appreciate that. Share this video with your friends and give it a thumbs up. And if you haven’t done so, please be sure to subscribe to my channel and check out my other videos on the ketogenic diet.